To download CPR1’s AED Site Survey, CLICK HERE. 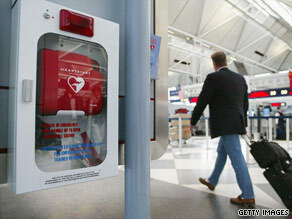 The goal will be to find the number of AED units needed at your site and to help determine the best placement(s). AED – A Small Device With Big Power! We are a united group of creative, caring, and innovative individuals brought together from the front lines of Emergency Medicine and Rescue. Our Mission is to create a safer world through the implementation of comprehensive and effective public access defibrillation programs in organizations of all types, across the nation and beyond.